Knife Made in Italy with overprinted handle in techno polymer. 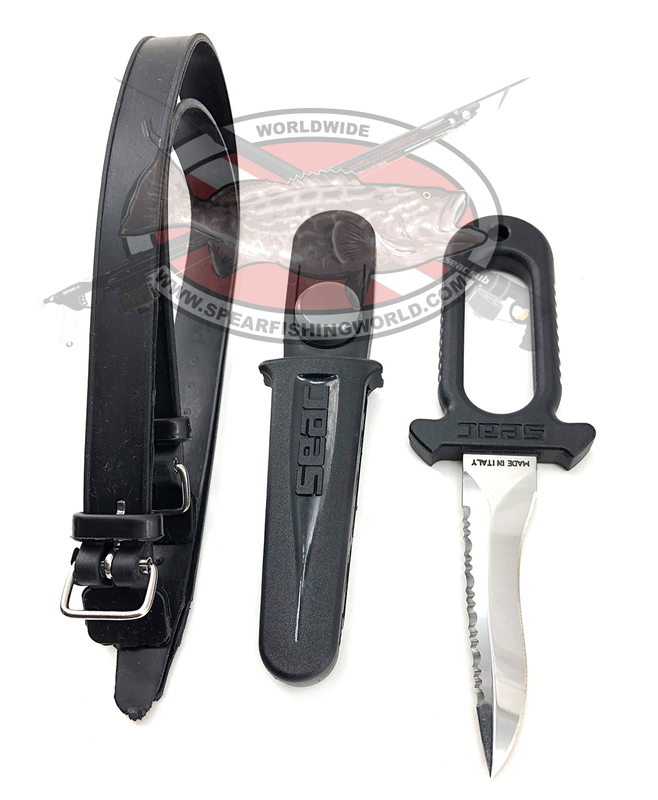 Knife in multipurpose stainless steel that meets the needs of both fishermen and divers. Excellent cutting capacity on the both the straight and serrated edges. The sheath features a new Push & Pull Out System that prevents the accidental loss of the knife and makes it very practical and quick to draw out, even with just one hand. Can be fixed easily to your weight belt, your thigh, or your forearm. Blade length – 3.5"
Click the button below to add the Seac Wanted 900 Stainless Steel Knife to your wish list.